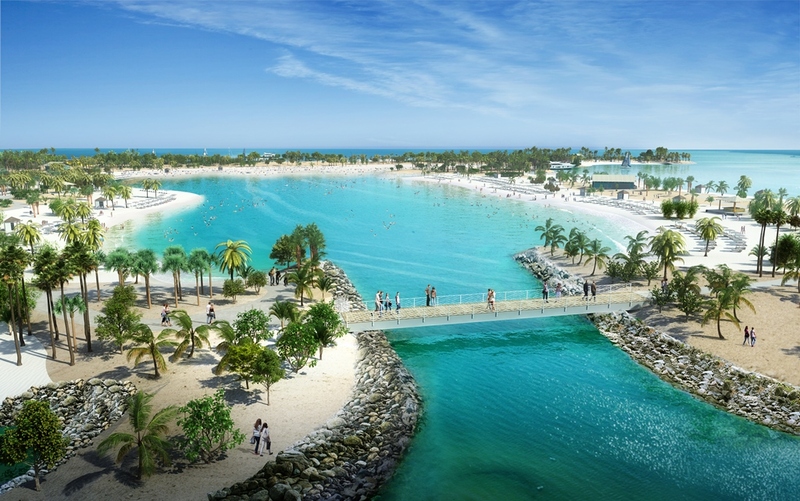 Uninterrupted ocean views, crystal clear waters, soft white sandy beaches with blue skies and sunshine – this dream of paradise will become a reality for MSC Cruises guests when they visit Ocean Cay MSC Marine Reserve when it opens on November 9, 2019. Days spent on the beach, snorkelling amongst abundant marine life, taking part in a game of beach volleyball, buying that perfect souvenir to bring home, and then capping it off with a cocktail at the beach bar and a movie under the stars before returning to the ship, are just some of the experiences awaiting MSC guests at this unique, eco-friendly island, and those aboard MSC Meraviglia will be among the very first to visit. MSC Meraviglia is the cruise line's new sophisticated mega smart ship that will kick off its inaugural season in North America this year, making its maiden call in New York on Oct. 7, 2019 and offering three sailings – two 10-night round trip itineraries from New York, as well as a third 13-night itinerary through the Caribbean, ending in Miami at the newly-enhanced Terminal F at PortMiami. In addition, prior to arriving in New York, MSC Meraviglia will sail a 17-night transatlantic cruise from Kiel, Germany with ports of call in destinations such as Denmark, the United Kingdom, Iceland and Canada. Meaning "wonder," MSC Meraviglia boasts incredible detailed design that lives up to her name. The 5,714 passenger ship offers a variety of unique features that have made the ship one of the hottest destinations at sea. Highlights include world-class entertainment with two exclusive Cirque du Soleil at Sea shows created just for MSC Meraviglia – VIAGGIO and SONOR (watch the videos below); a Mediterranean-style promenade, with the longest LED dome at sea, at 262 ft., displaying a variety of digital skies 24 hours a day; a wide range of culinary offerings, including an expanded partnership with global Italian food expert Eataly as well as a partnership with world-renowned pastry chef, Jean Philippe Maury; and an enhanced MSC Yacht Club, which has become MSC Cruises’ signature luxury offering. In addition, the ship caters to families, with modular connected staterooms that can accommodate up to 10 people, multiple LEGO-designed play areas for all ages, and a polar themed aqua park, featuring four water slides. What’s more, book today and you could take advantage of MSC Cruises’ ALL-IN promotion featuring unlimited drinks plus free WiFi on Caribbean cruises aboard MSC Seaside, MSC Meraviglia, MSC Divina and MSC Armonia. Plus, on MSC Meraviglia, guests will also enjoy a FREE Cirque du Soleil show!